Jussi Halla-aho, whose nationalist Finns Party only narrowly failed to clinch victory in Finland’s parliamentary election, is a former medieval language lecturer turned hardline MEP and vehement critic of immigration and Islam. But the 47-year-old Halla-aho’s campaigning on a hardline anti-immigration stance, which also questioned the need for action on climate change, electrified the campaign and brought in new waves of supporters whom the pollsters believe would not otherwise have voted at all. The Finns Party won 39 seats in the election, up from 38 in 2015, to finish just one short of the largest party, the leftist Social Democrats. The European Parliament member – whose hobbies include astronomy and shooting – has been described by Finnish media as giving a “tense and even shy impression” when being centre stage on television, and is said to be uncomfortable in the limelight. “When I drafted my speech today, I didn’t know what kind of results to expect,” he told a joyous crowd of Finns Party supporters at the group’s election after-party on Sunday. “I see now that this speech is dull, and that’s of course partly because of my monotonously boring personality,” he said, to rapturous applause. 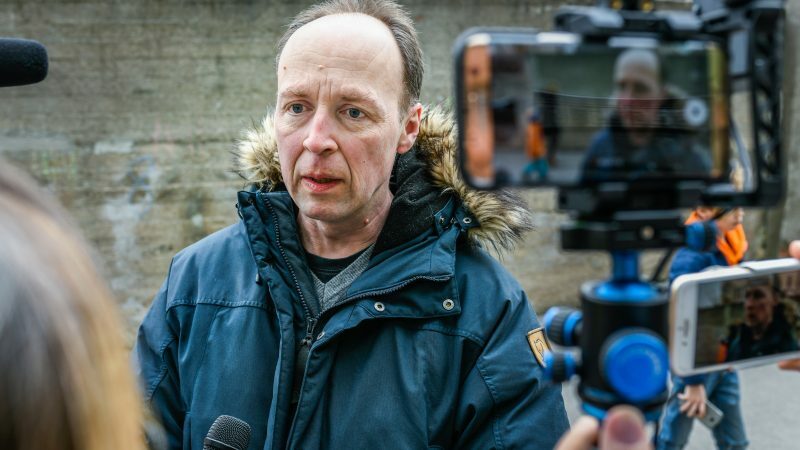 While Halla-aho speaks gently, his writing is more inflammatory – his star rose partly due to his explicit writings against immigration and Islam. Finland’s highest court in 2012 upheld a conviction and fines against him for inciting ethnic hatred and blasphemy in 2008. In a blog post, he condemned Islam and described Somalis as living off taxpayers’ money. Halla-aho had pleaded not guilty, arguing that he had merely used sarcastic examples to highlight a “double standard” for what is allowed to be published in Finland. Under Halla-aho, the Finns Party has shifted from a eurosceptic, populist movement that claims to look out for the working classes to a more nationalist, far-right organisation that wants to cut refugee intake to “almost zero”. “I’ve made mistakes in my private life that I cannot undo,” he said in a Facebook post.